This December will mark 40 years since police finally discovered and ended John Wayne Gacy Jr.’s murder spree, one of the worst serial killer cases on record in this country. CNN’s Jean Casarez reports that 40 years later the case remains open, because police are still trying to identify some of the victims. The Curious Case of the Killer Clown airs Saturday, Dec. 1st at 9pmET. Casarez interviewed the detectives that brought Gacy to justice. They chronicle what led them to Gacy and the discovery that prompted his confession. The gruesome details of Gacy’s killing spree and the location of dozens of bodies of boys and young men were revealed. Still, there were eight victims that remained unidentified. In 2011, Cook County investigators exhumed the remains of the eight unidentified victims. Casarez takes you on the journey of investigators to put names to these victims and provide closure for their families. People around the country who had sons or brothers disappear in the 1970’s have contacted the team to see if their relative has finally been found. And as police identify some Gacy victims, they also wind up solving other cases of boys who disappeared during that era. 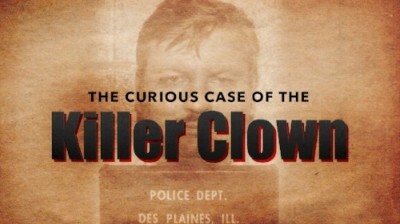 The Curious Case of the Killer Clown will also stream live for subscribers Saturday, Dec. 1st via CNNgo (at CNN.com/go and via CNNgo apps for Apple TV, Roku, Amazon Fire, Chromecast, Samsung Smart TV and Android TV) and on the CNN mobile apps for iOS and Android. The special will also be available the day after the broadcast premiere on demand via cable/satellite systems, CNNgo platforms and CNN mobile apps.